Chinese police find 231 dinosaur eggs and Psittacosaurus sksleton. Dinosaurs News > Chinese police find 231 dinosaur eggs and Psittacosaurus sksleton. Chinese police seized a large collection of dinosaur fossils from a home in the southern Guangdong Province (in China it is generally illegal to private own or trade fossils). The fossils included 231 (some stories give the figure as 213) eggs, as well a complete dinosaur skeleton thought to be a Psittacosaurus. The Psittacosaurus skeleton appears to be nearly intact, although this is not particularly unusual. Although fossils of many types of dinosaurs are rare, this is not the case with Psittacosaurus. Fossils of more than 400 individuals have been found, including many intact or nearly intact skeletons, and of all ages from newly hatched through to adults. Indeed, Psittacosaurus fossils are so common in the region, that sediments from the Lower Cretaceous in East Asia are sometimes known as the "Psittacosaurus biochron". Below some news stories with more details and pictures. Please be aware many of the news stories refer to the eggs being as from the Cretaceous, and the Psittacosaurus skeleton from the Jurassic. 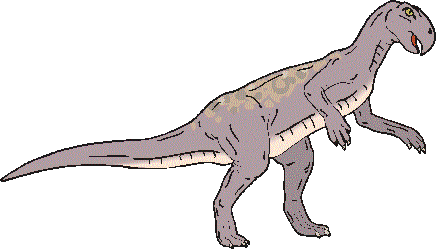 I am doubtful whether the latter is correct, as Psittacosaurus is thought to have lived in the early Cretaceous.